Today, Tripwire Interactive and Solid State Records are pleased to announce that the original soundtrack for Tripwire Interactive’s upcoming video game Killing Floor 2 will be released on April 21st, 2015 at both digital and retail outlets. Killing Floor 2 is one of 2015’s most anticipated new releases with its brutal mix of gore and action. Now with the most bone crushing soundtrack ever created for a video game, the mix of metal, rock, industrial and electronic music will definitely set the mood for fans as they get prepared to slay enemies in the upcoming, action-packed first person shooter! 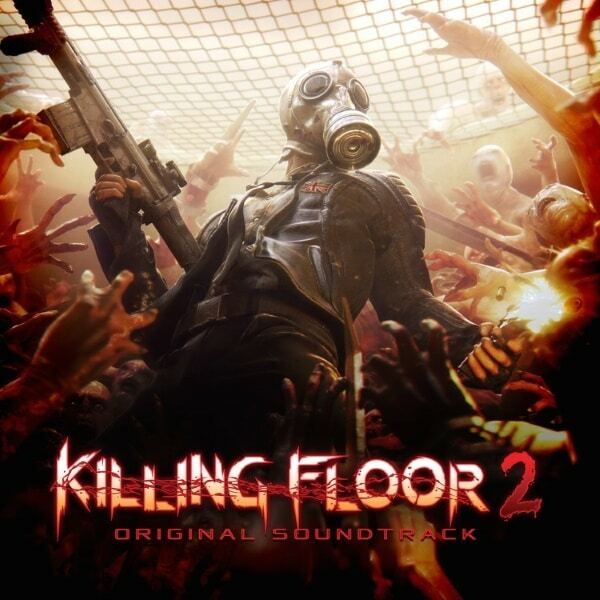 The Killing Floor 2 original soundtrack features a unique mix of original compositions, licensed rock and metal tracks that offer the perfect backdrop for slaying waves of Zeds. The original songs feature the return of Killing Floor fan favorite artist, zYnthetic beating out his unique mix of electronic, industrial, metal, and rock, alongside incredible one-of-a-kind collaborations between members of Demon Hunter and Living Sacrifice, as well as original songs by Rocky Gray of Evanescence and Living Sacrifice fame. Add to that killer licensed songs by metal and rock acts Demon Hunter, Impending Doom, Living Sacrifice and Fit for a King, and everyone will be well equipped with a soundtrack to face the deadly Zed hordes!